We are located conveniently on the Rhodes peninsular just off Concord Rd. Whether you need short term or long term storage hire. We have many different sizes of storage units for your personal or business needs, ranging from 1 to 70 square metres. On move-in, you’ll receive a unique access code which gives you secure access to the facility. You will be able to access the storage unit 365 days between 6am and 9pm. We provide a free move-in trailer service for our new customers. We deliver the trailer to you and then come back and collect it when you have finished packing it. We can even help you unload your goods into your unit during office hours if required. If you require a move-in trailer, we recommend booking it when reserving your unit to ensure it is available when you need it. If you have a tow bar, you can collect the trailer from us, after providing a small refundable deposit. We ensure all units are cleaned and fumigated once a client has moved out. In fact we have been voted the cleanest storage unit facility in Sydney by our recommended removalists. Self-Storage Facility in Rhodes. Safe, Secure, and clean storage facilities. Rhodes Self Storage is a Satisfied Customers Program (SCP) member. Positive reviews , complaints and testimonials will be published on the business directory following review or arbitration if required. Please do not review 'Rhodes Self Storage' if you've received , or have been offered , a reward for writing this review. Do not write a review if you are associated with the owner or employees of this business. Australian Business Directory members who receive an unfavourable review are given the opportunity to respond to the customer who posted the review before it is published. We know that slanderous and unfounded reviews are common place on the web so we have allowed "Rhodes Self Storage" the tools to arbitrate and contact the reviewer in order to resolve outstanding complaints or disputes. We have found that this achieves a far better outcome for both the reviewed business and their customer in the longterm. Fake reviews will be removed according to our policies and guidelines. 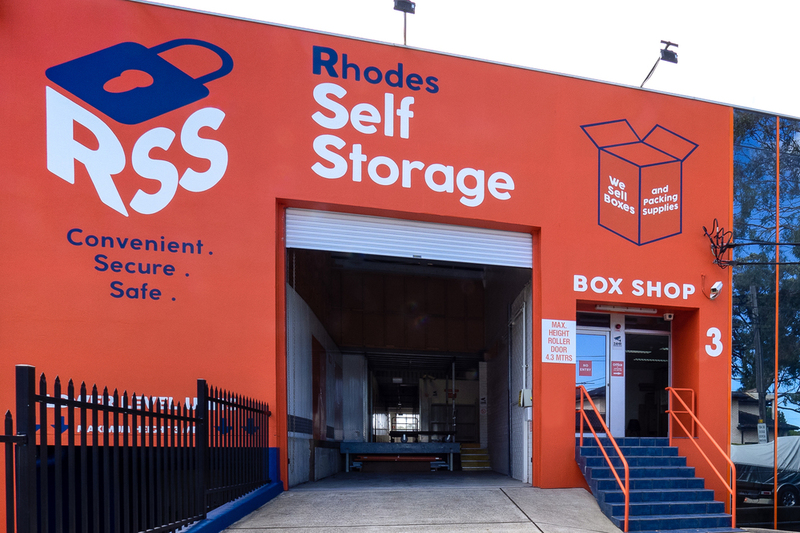 If you require more specific business details such as opening hours , further customer reviews , directions etc please contact Rhodes Self Storage on their website , by phone or at their store location (if applicable). All profile related content remains the sole property of Storage business 'Rhodes Self Storage'.